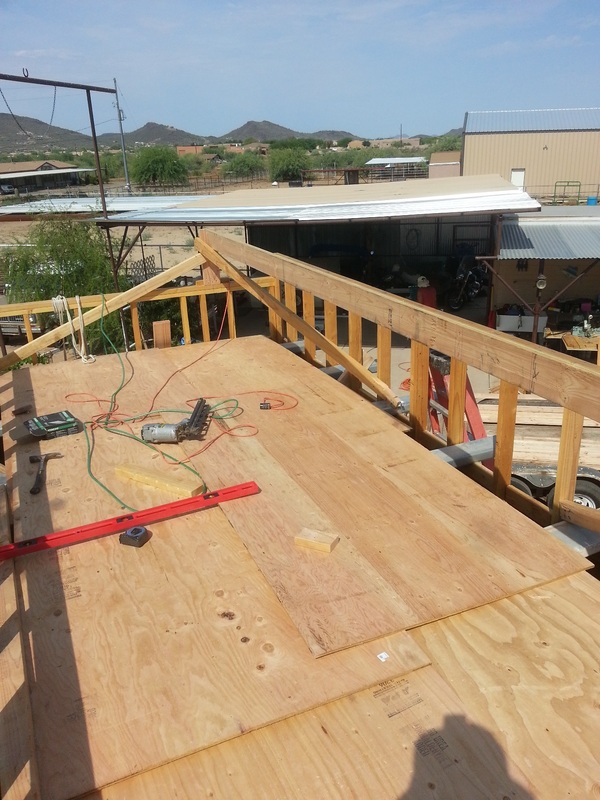 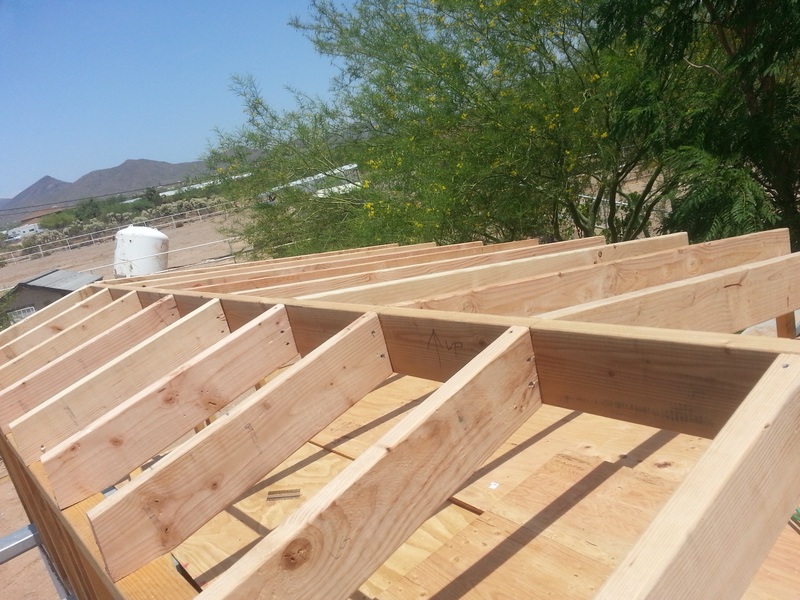 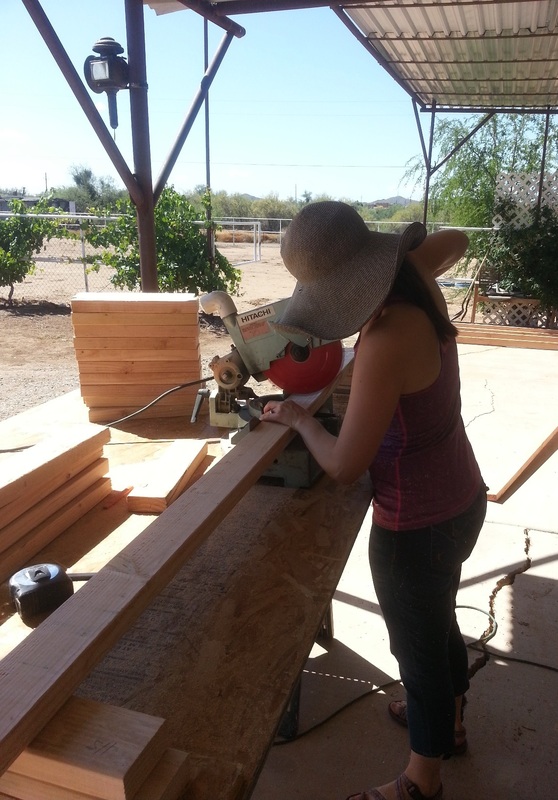 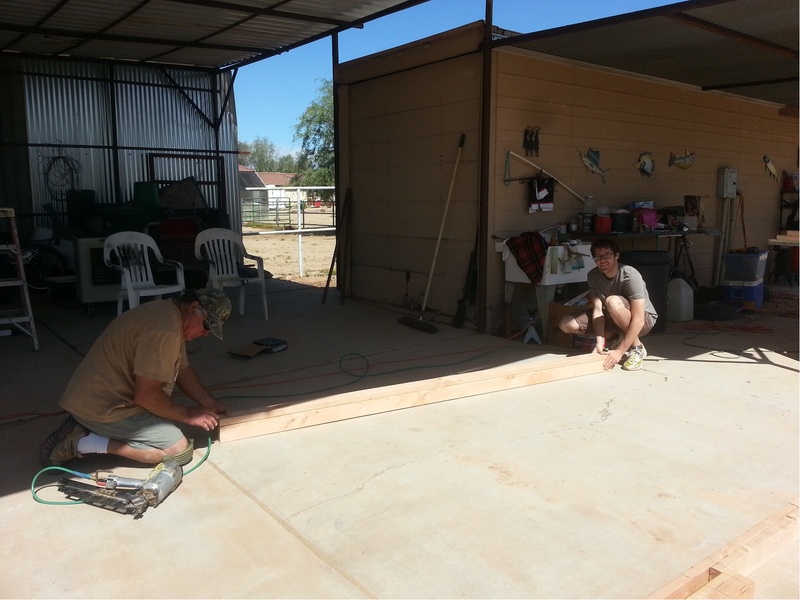 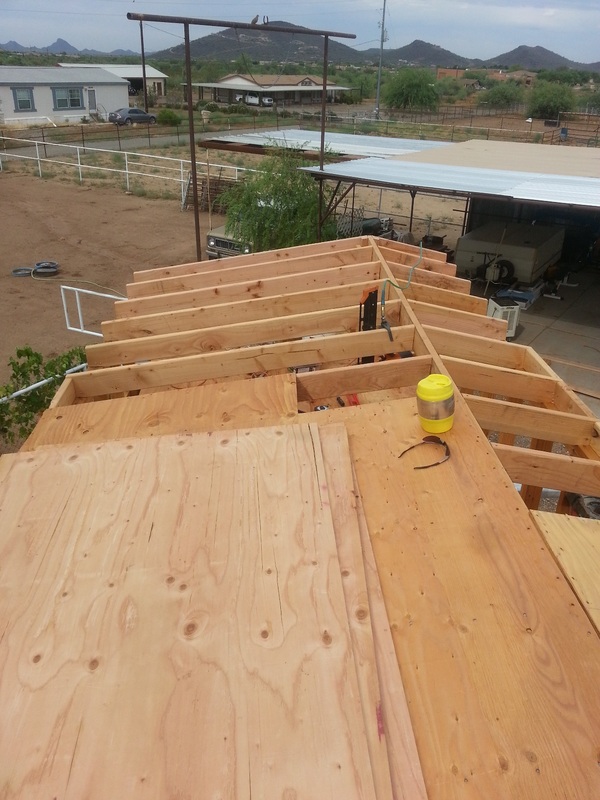 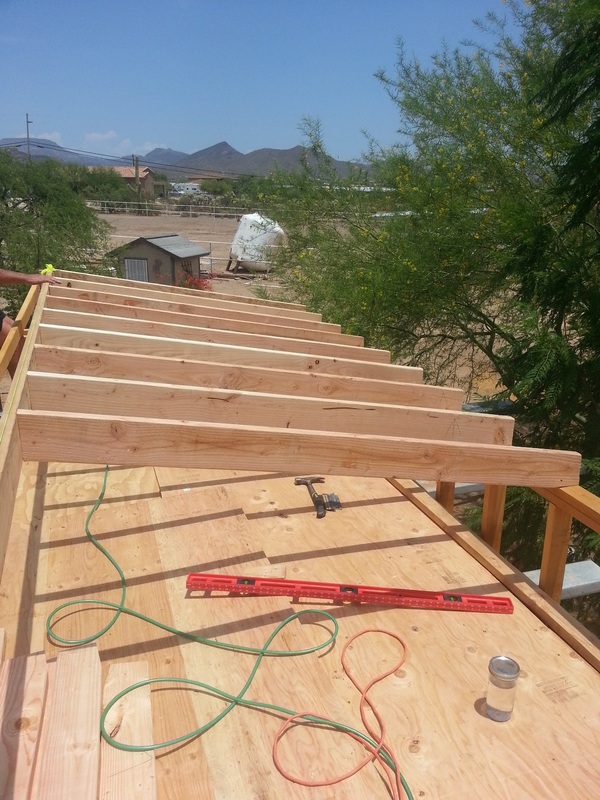 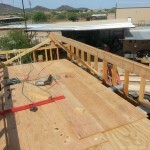 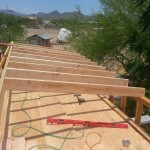 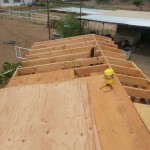 Over two Saturdays we were able to frame the rafters for our roof, then sheet it and add rolled roofing. 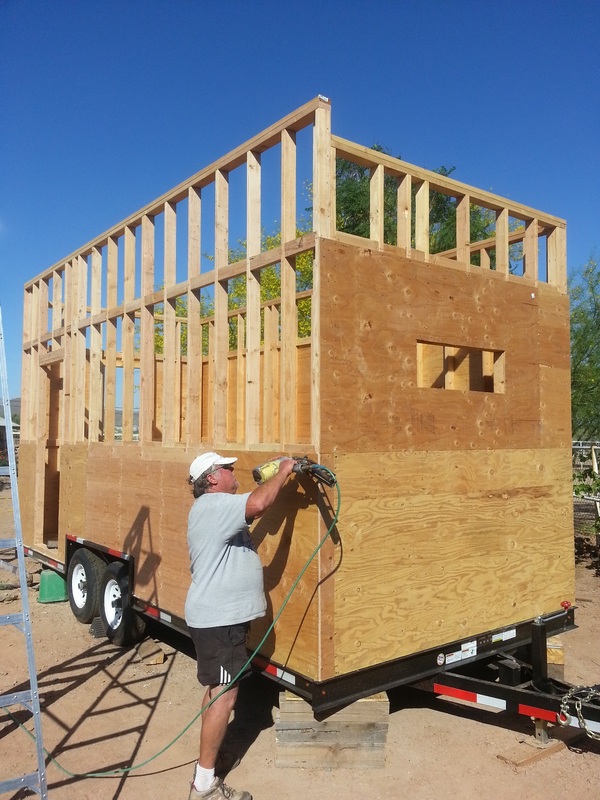 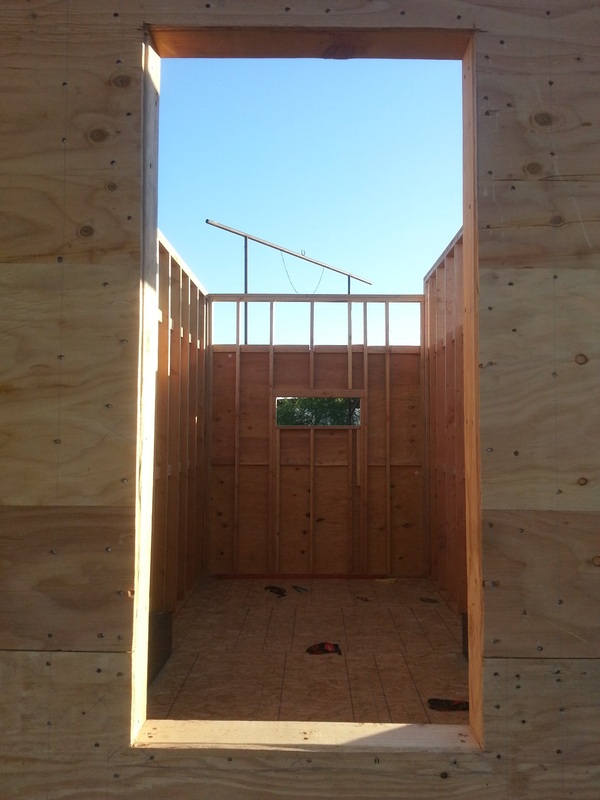 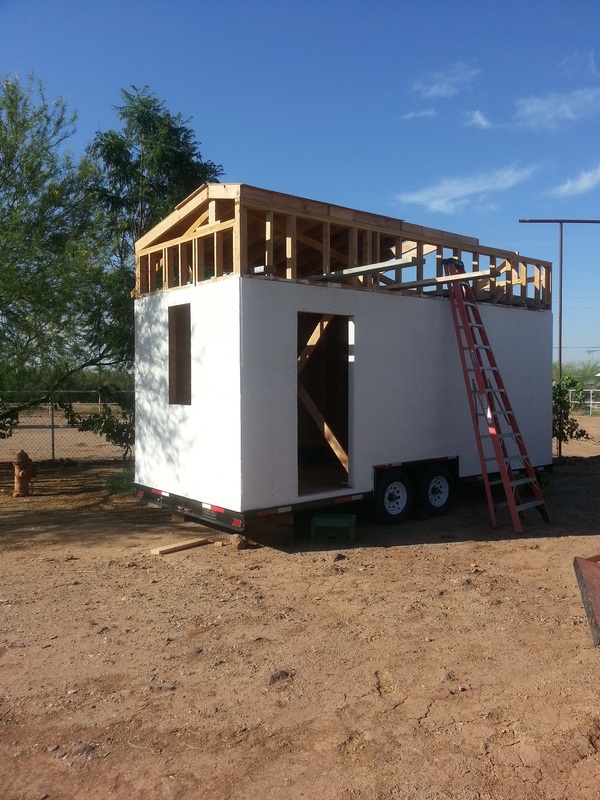 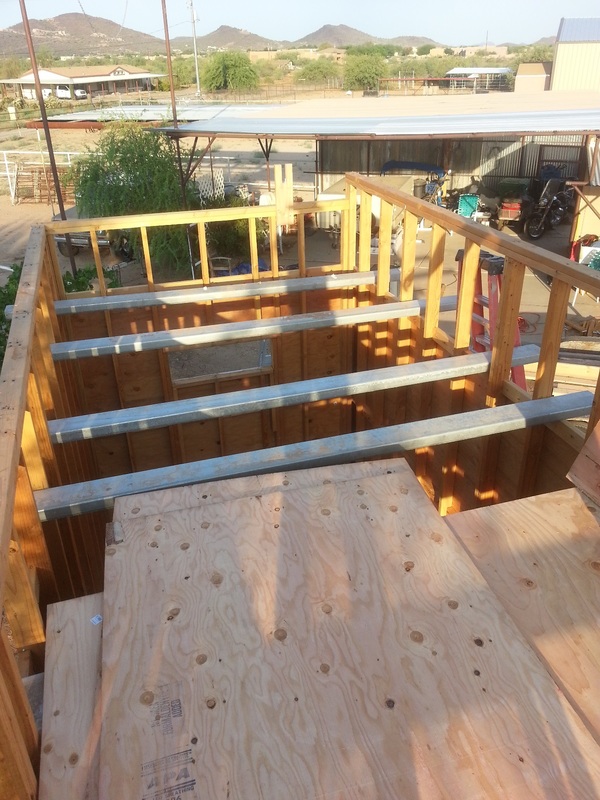 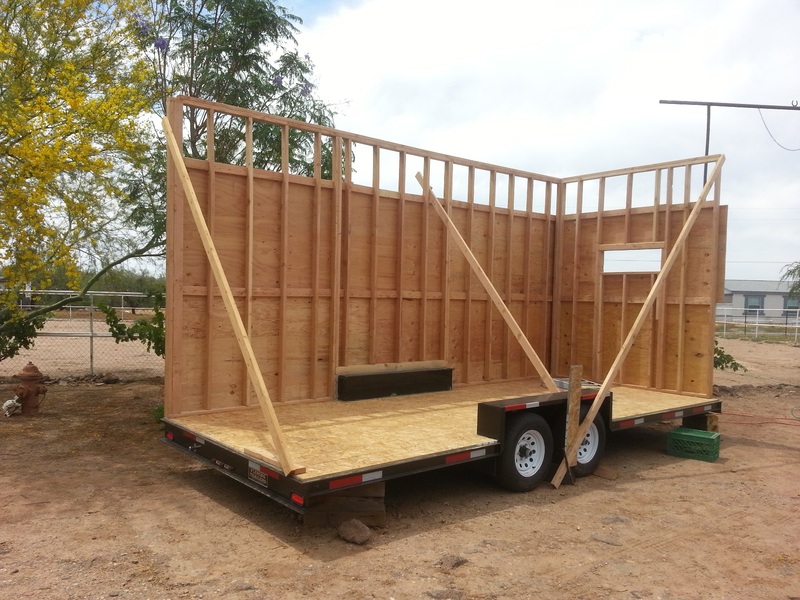 We also sheeted the upper part of the walls to complete our outer frame. 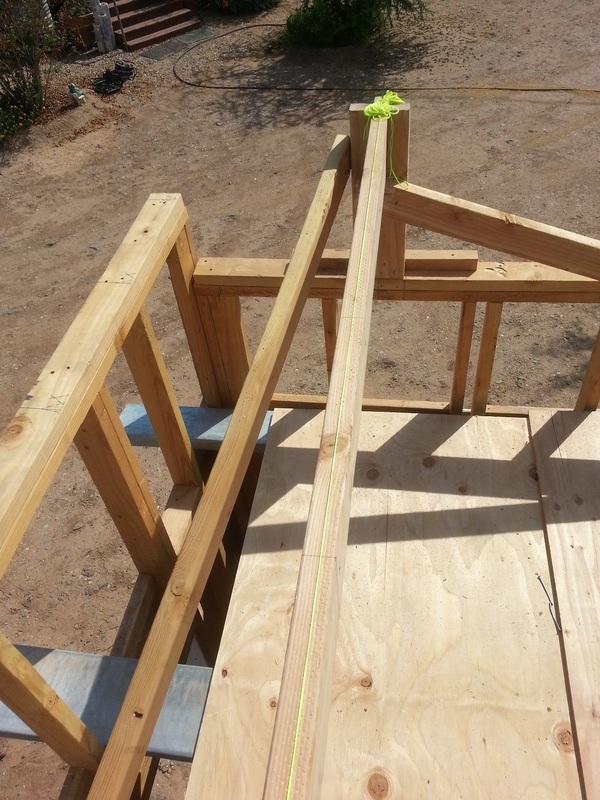 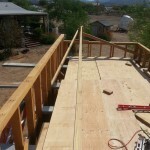 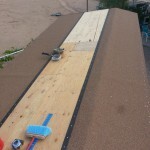 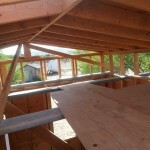 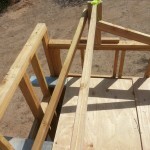 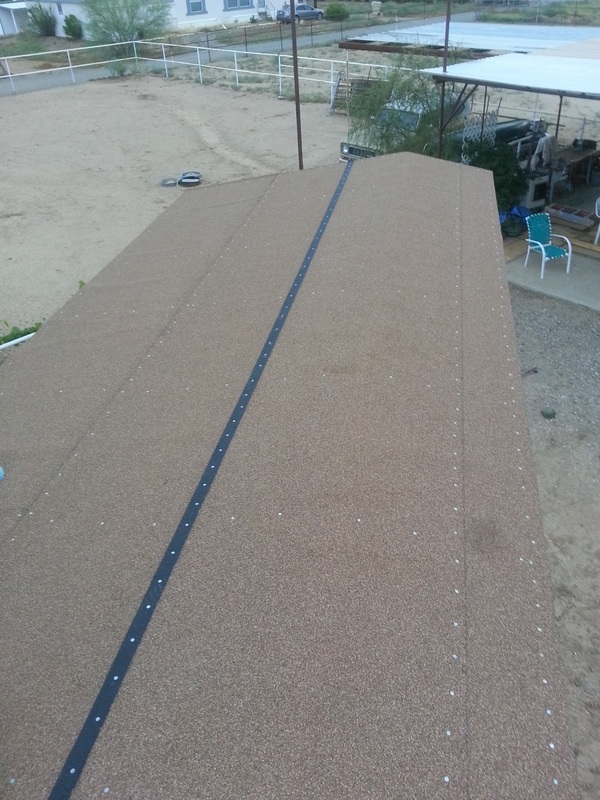 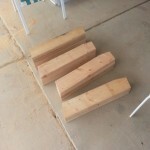 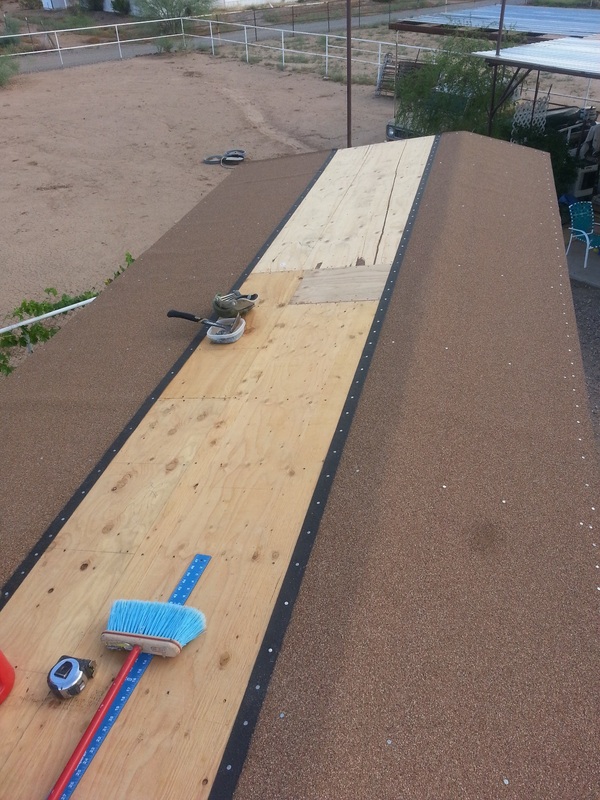 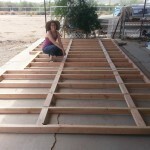 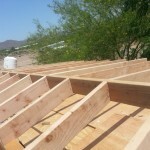 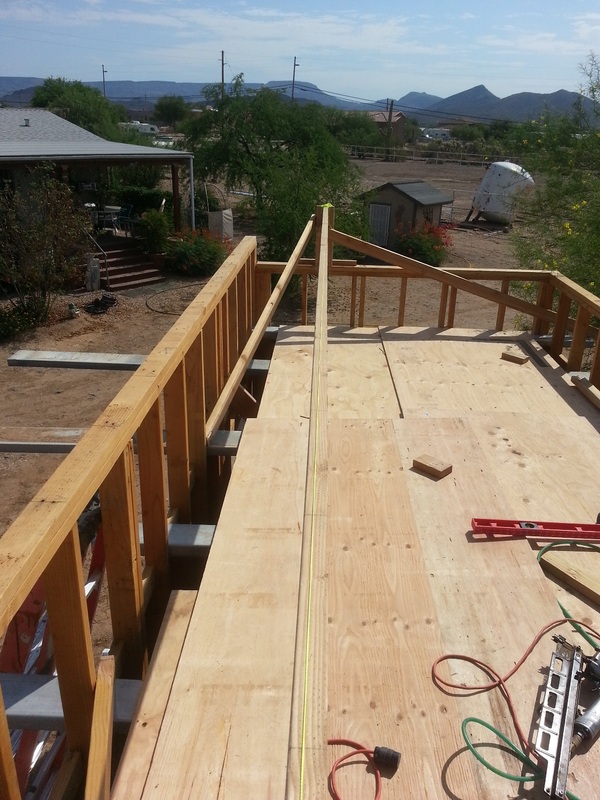 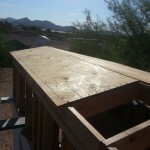 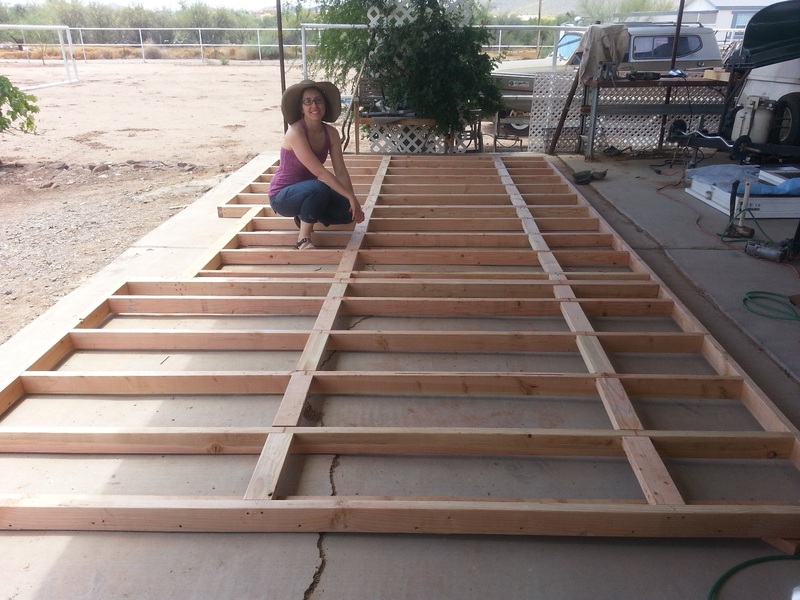 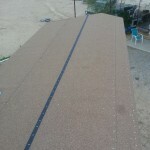 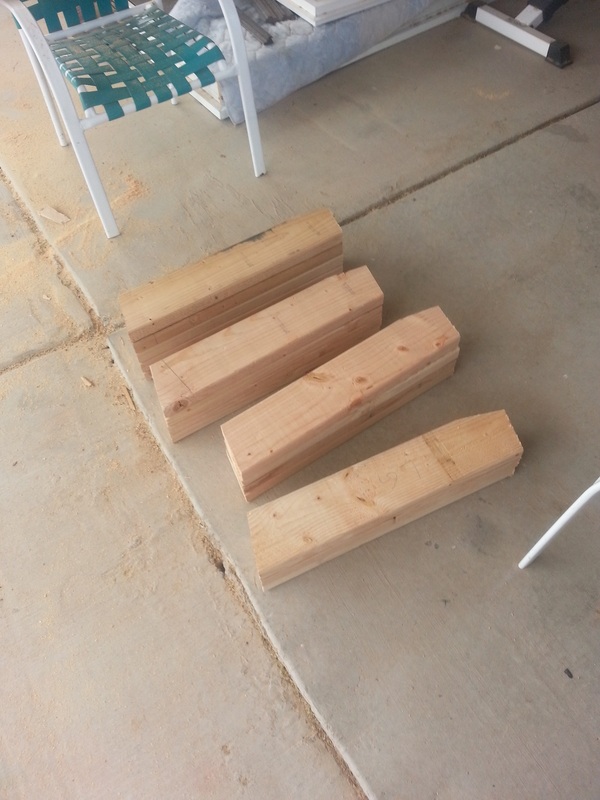 I wanted an offset peak for our roof because of the way we will enter and leave our loft. 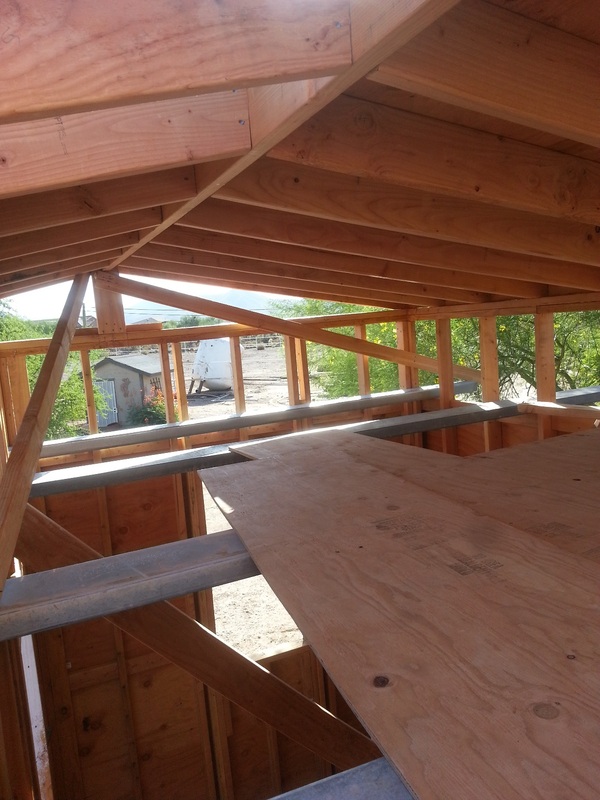 The most head room should be where your head is, and since our stairs will follow up one wall, that’s the side that we moved the roof peak to. 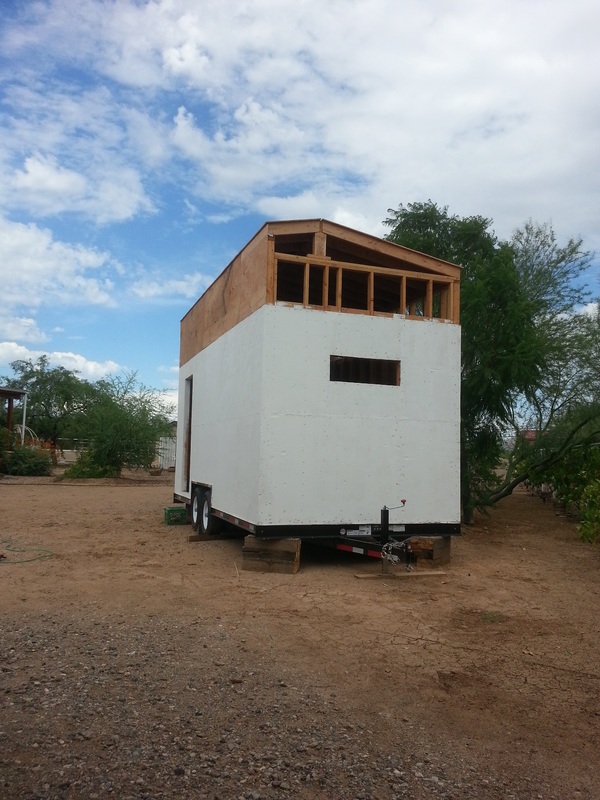 We had a great range of weather, from light rain to the usual intense heat (around 109 degrees). 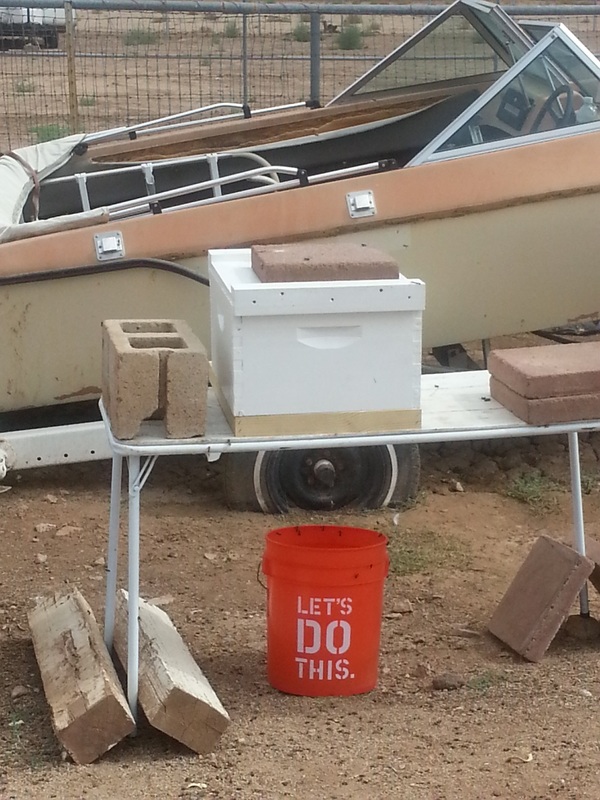 When it gets like that all you can do is work in 20-30 minute bursts then cool down and get some water. 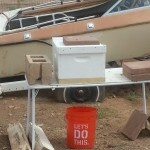 I didn’t say we are the smartest people around. 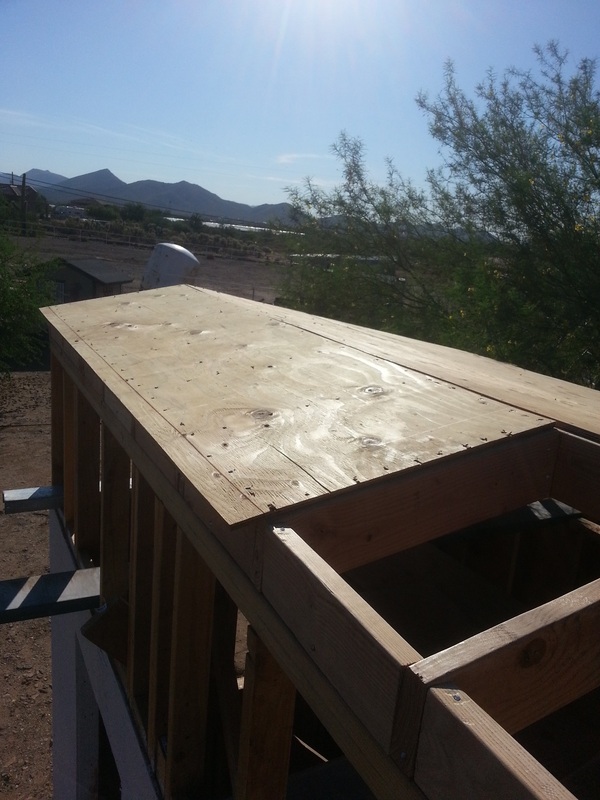 The rolled roofing is really our sub-roof, we will be adding a metal roof on later probably after we seal and paint the rest of the walls and get all the windows and door in. 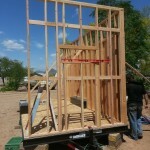 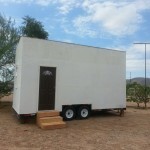 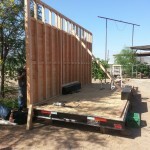 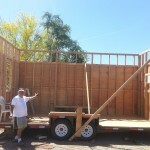 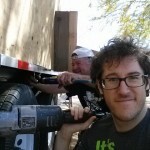 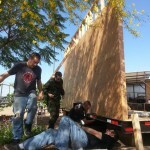 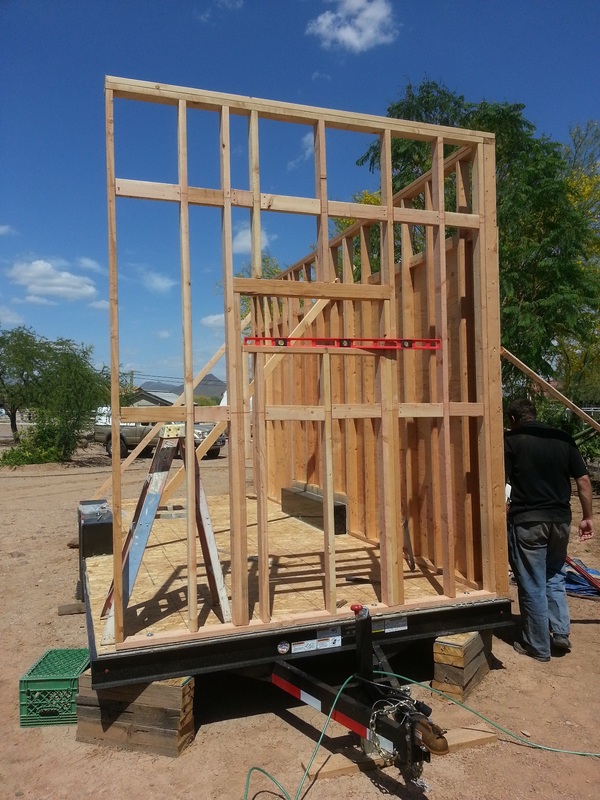 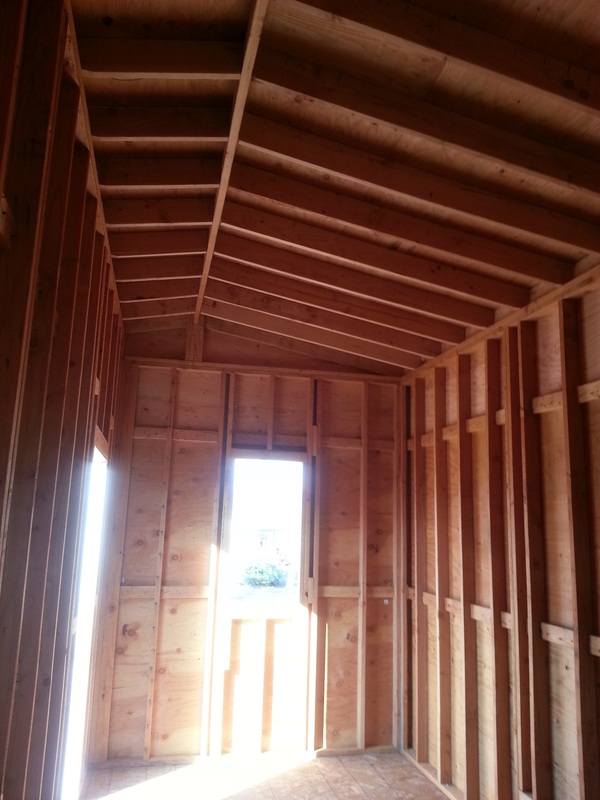 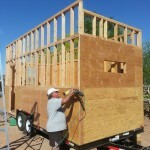 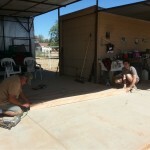 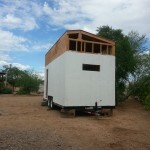 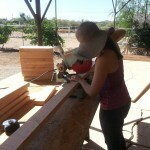 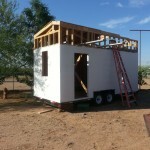 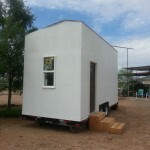 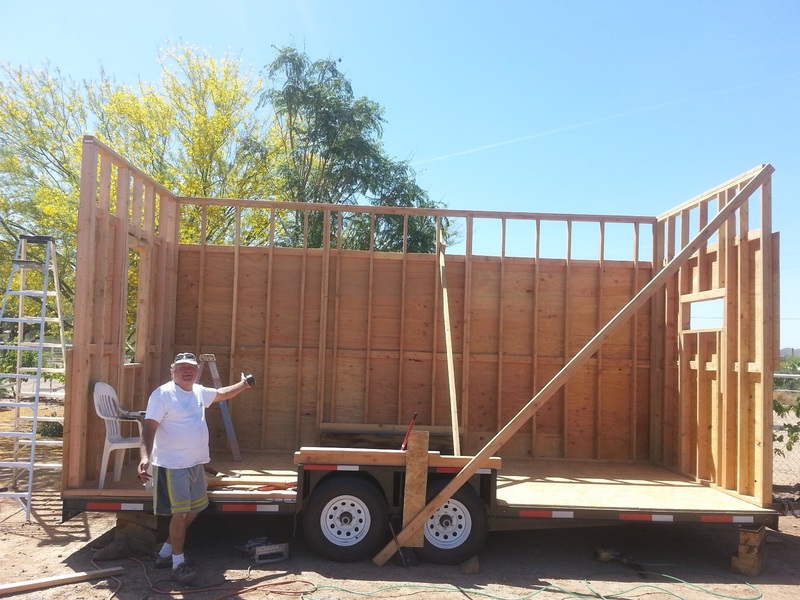 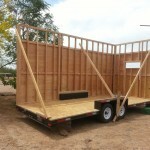 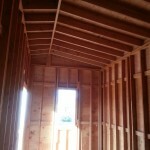 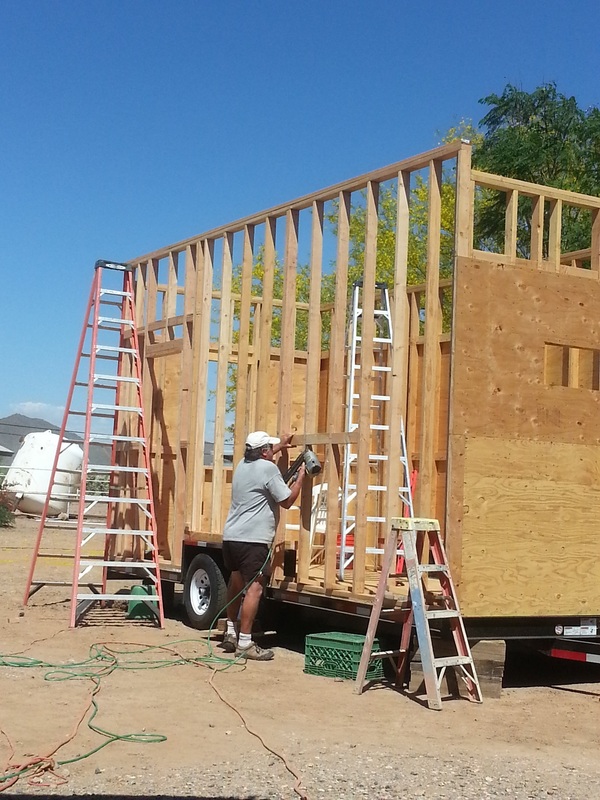 We traditionally framed three walls, and built the last one in place. 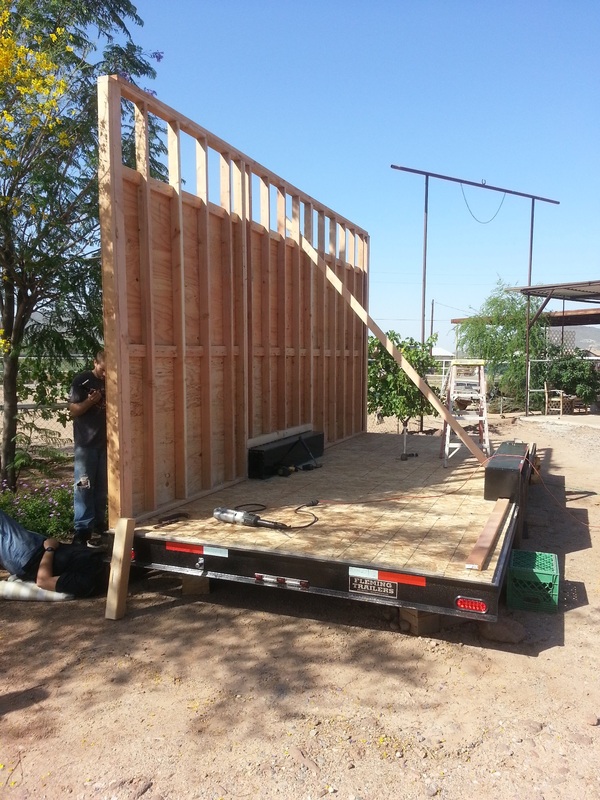 The first wall we sheeted before putting up so that it would hold together better when we carried it over. 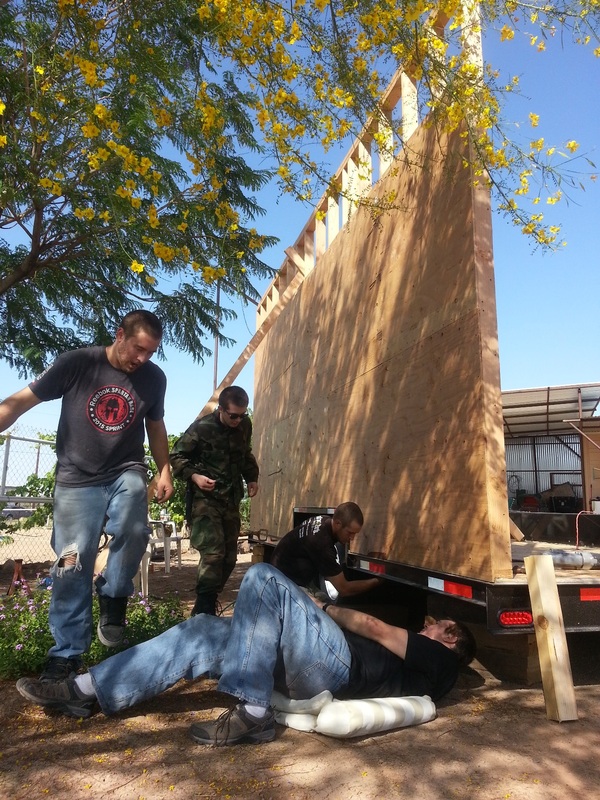 The 2nd and third walls we sheeted after standing up since they are smaller. 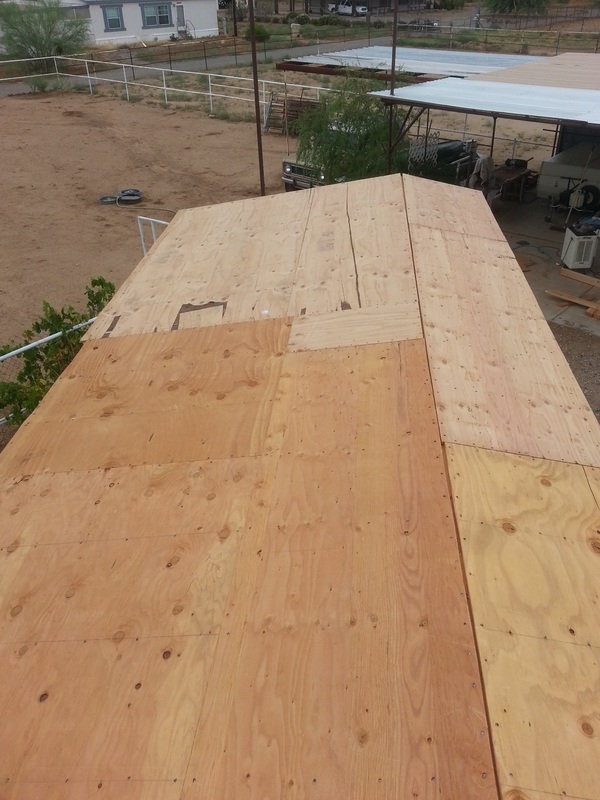 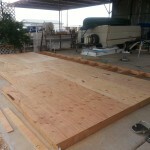 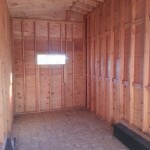 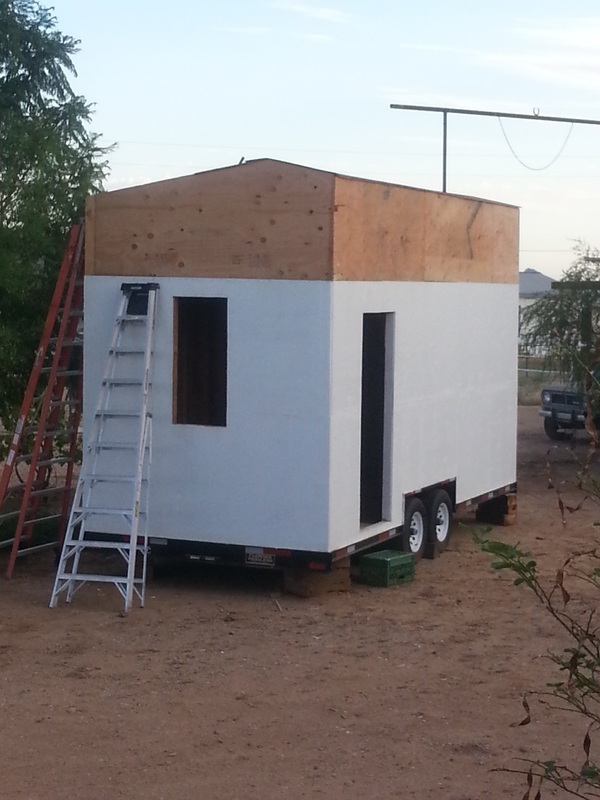 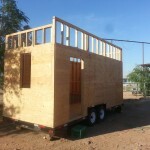 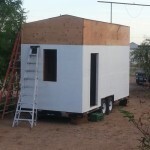 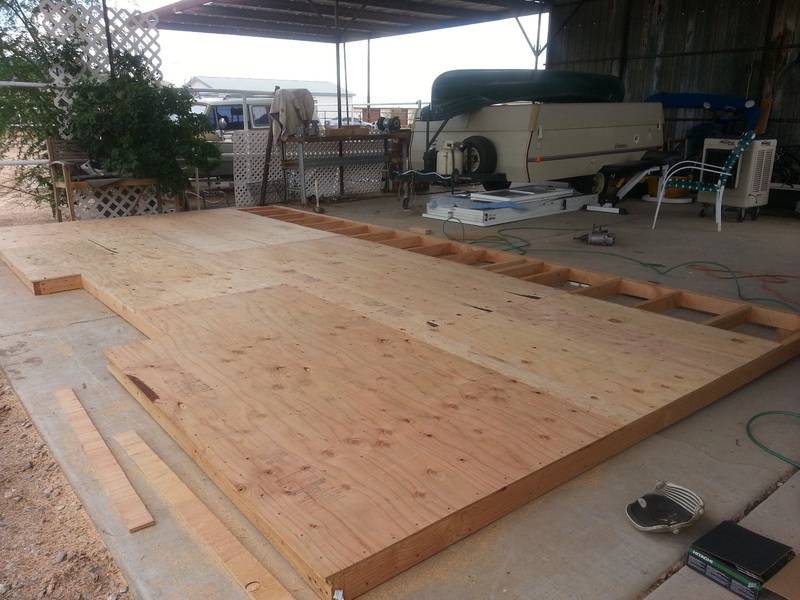 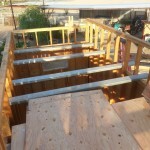 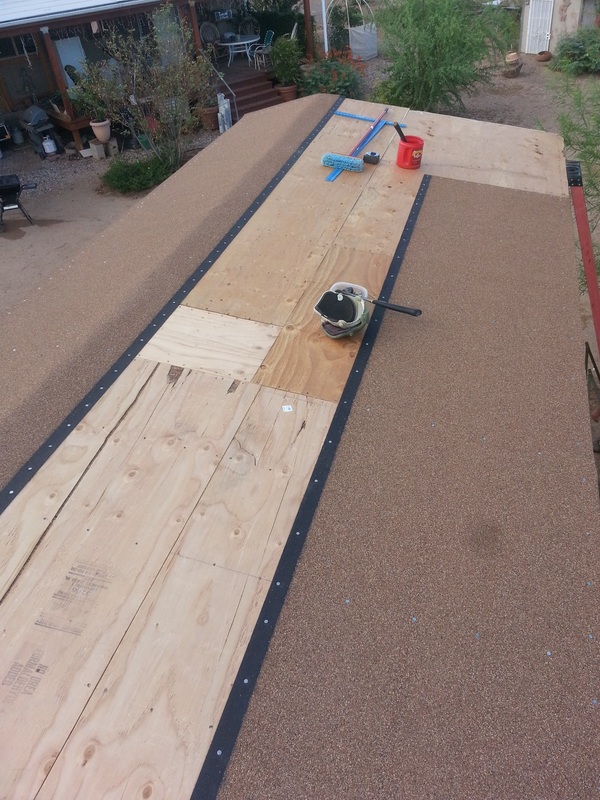 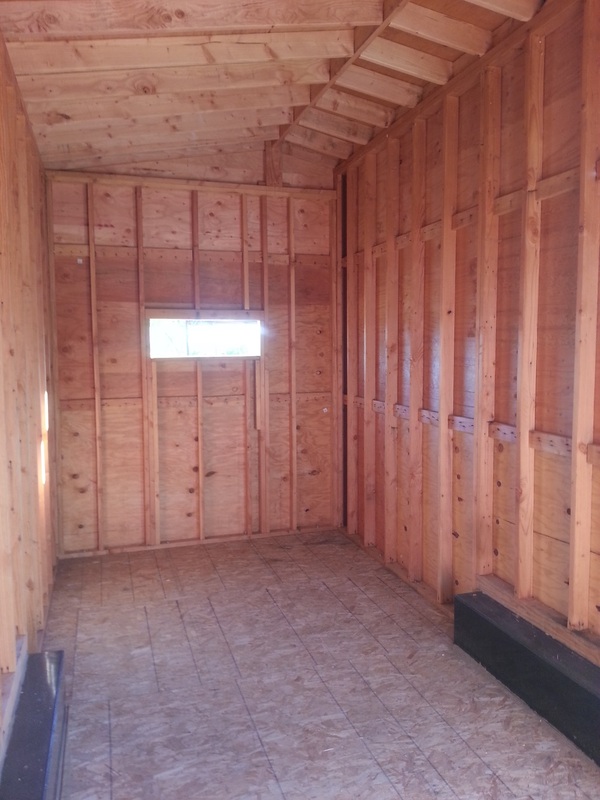 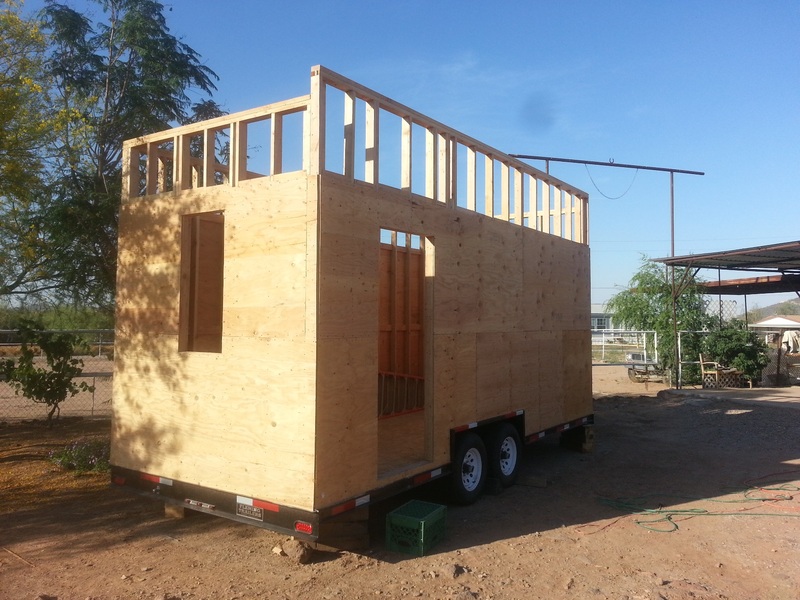 We also changed from using OSB to plywood sheets. 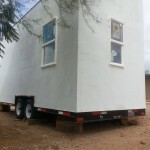 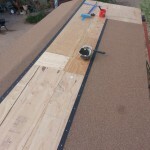 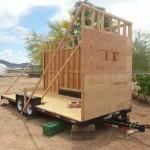 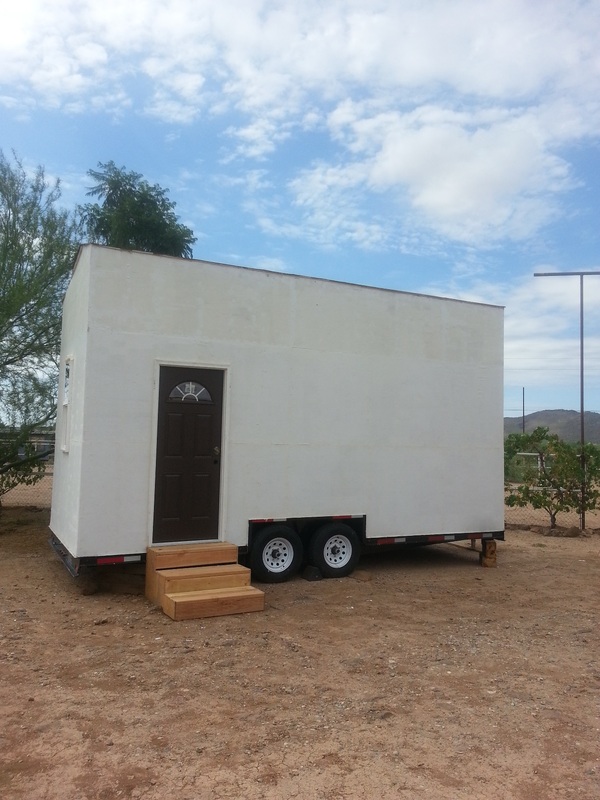 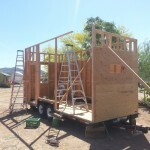 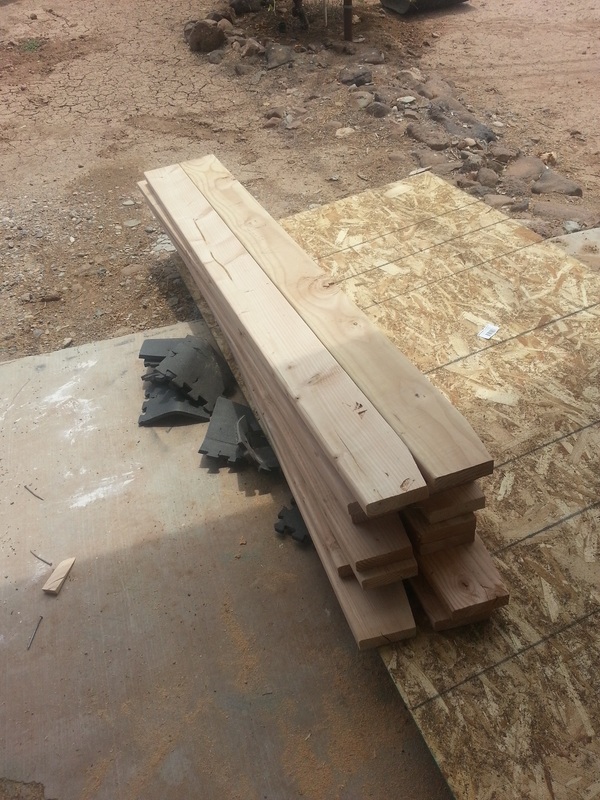 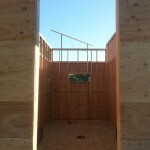 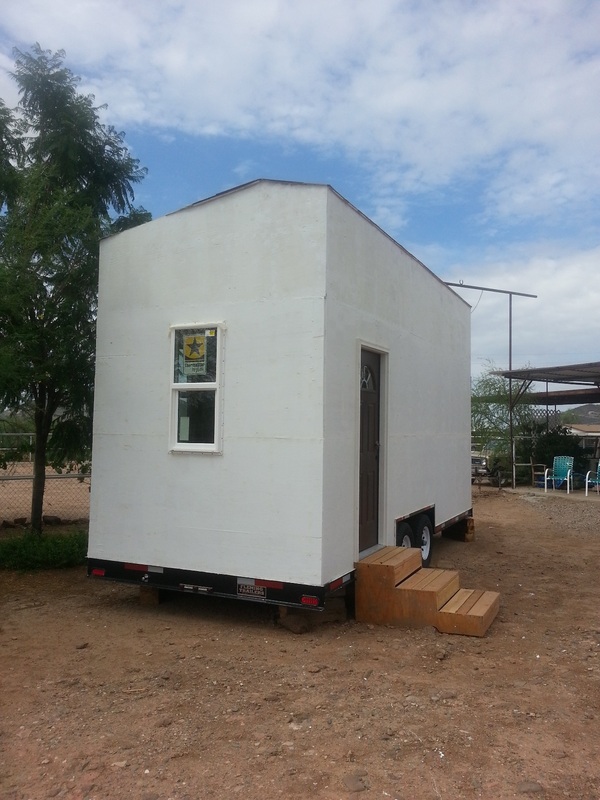 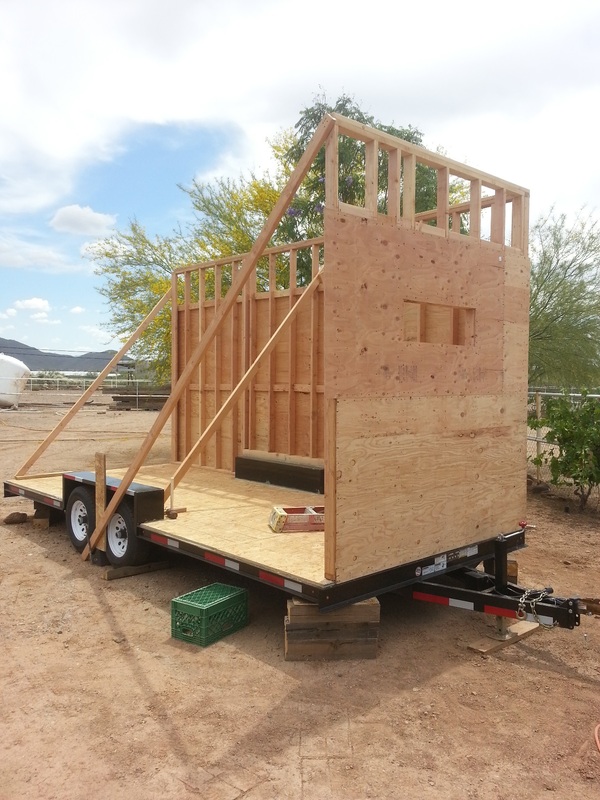 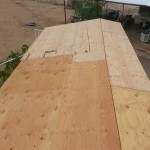 This is mainly due to the strength difference, if you wanted to save a few hundred bucks you could do all OSB sheets but for the strength of the structure we did not want to skimp. 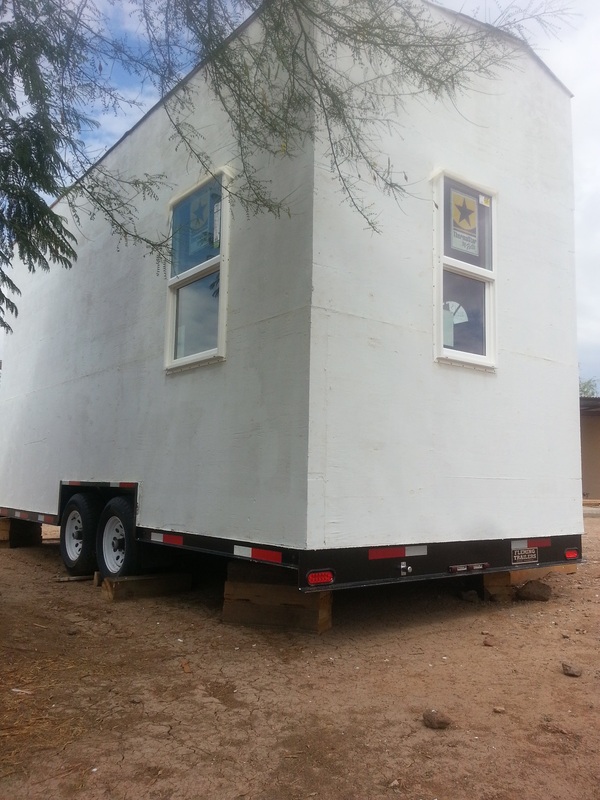 You should have noticed we only have two windows. 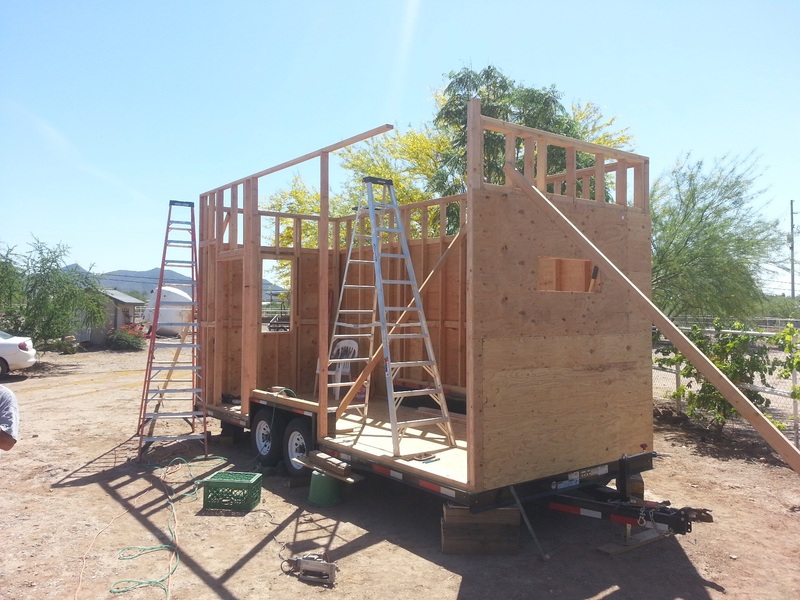 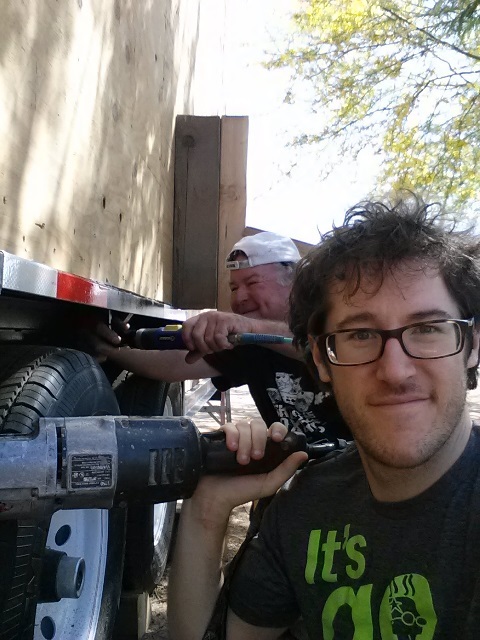 We have only bought two windows so far, and that’s where they are going. 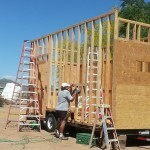 We are buying the rest of our windows soon and cutting them into place. 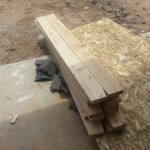 We should be able to put them and our door all in before the end of July.